Adi and Michael are old pros of the 911 Restoration family, having opened their first branch in 2008 in New Jersey. Now, with ten years of experience behind them, they are continuing to grow with the opening of 911 Restoration of Philadelphia. The nationally recognized restoration company is a premium provider of water damage restoration, fire damage repair, sewage cleanup, disaster restoration, and mold removal. The partners see themselves as more than just running a restoration company. Adi and Michael consider themselves to be difference makers and strive to make a difference in the lives of all of their customers. When a disaster impacts your property, then you need a team by your side, treating your emotional needs as much as they take care of the restoration work. Adi and Michael spread the fresh start attitude wherever they go because they believe in bringing change to all those that need it. The staff at 911 Restoration of Philadelphia believes that the situation will get better the moment technicians arrive on the scene, no matter what disaster you may be facing. So, call Adi and Michael the moment you notice any signs of a water emergency in your property and their crew members will arrive ready to begin same day services. 911 Restoration of Philadelphia specializes in implementing water damage restoration services that deal with virtually every type of water disaster. A sewage backup is an example of an extreme water damage situation, where black water overflows into your home or business, requiring decontamination services. 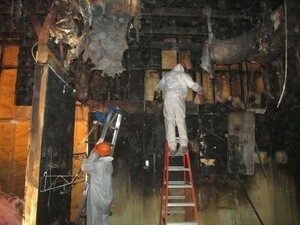 Fire restoration and mold removal also require water damage restoration services. The fire department creates extensive flooding in the properties that the firefighters extinguish flames in and mold is usually formed when there is a build up of water damage somewhere in the home or business. To take care of all your needs, Adi and Michael ensure that their technicians are trained to provide comprehensive services. 911 Restoration of Philadelphia is open around the clock, making it possible for you to contact us the moment your property is overwhelmed by water damage. Their highly trained technicians are always ready to spring into action, guaranteeing a 45-minute arrival time for all situations involving leaks, floods, and water-based disasters. The water damage restoration technicians are IICRC certified to remedy any situation that you face. Their hands-on experience that they possess make them qualified to give you the fresh start you deserve, so give us a call today! Adi and Michael always try to go beyond the call of duty by working for their customers in every way possible, which includes assisting you with all your insurance paperwork. 911 Restoration of Philadelphia believes in maximizing the amount of coverage dispensed out to you by your insurance company, so Adi and Michael work as hard as they can to ensure that you get full coverage. The best way to communicate with your insurance provider is by through extreme itemization. 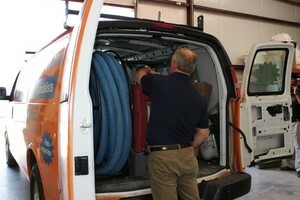 The water damage restoration technicians will take pictures of the accident area to prove the damage to your provider. Documentation is one of the most important parts of getting a claimed approved. The technicians on the job will document everything lost or damaged so that the claim is as airtight as the restoration services they are providing. Moreover, they will also help you get all your receipts documented to make your claim completely secure, every step of the way. 911 Restoration of Philadelphia consistently works with all types of insurance companies and understand how difficult it can be to deal with them, so call Adi and Michael and let them help get your finances in order.